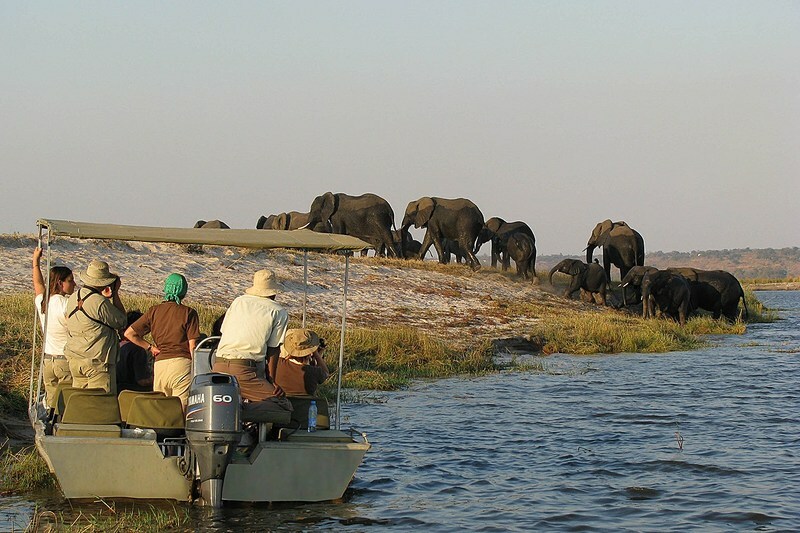 With a design specific for safari river cruising on the Chobe River, the 28-passenger Zambezi Queen (2009) offers a sophisticated onboard experience designed to maximize animal sightings. Your comfort is ensured when staying in any of the 14 balcony staterooms (which range up to 300 sq. ft), all decorated in contemporary style. The air-conditioned top deck of the ship offers a dining room, lounge, bar and pool area for your comfort. Enjoy game watching from your stateroom, or visit the top deck for a beverage, sun bathing and more game watching. Peruse the library of books, enjoy a board game or study the night sky with the onboard telescope. 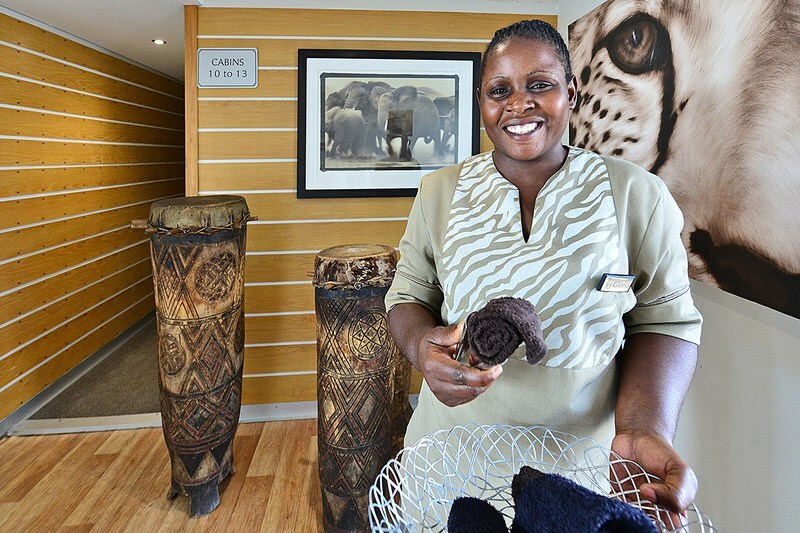 Explore the riverbanks of the Chobe River on the Zambezi Queen. 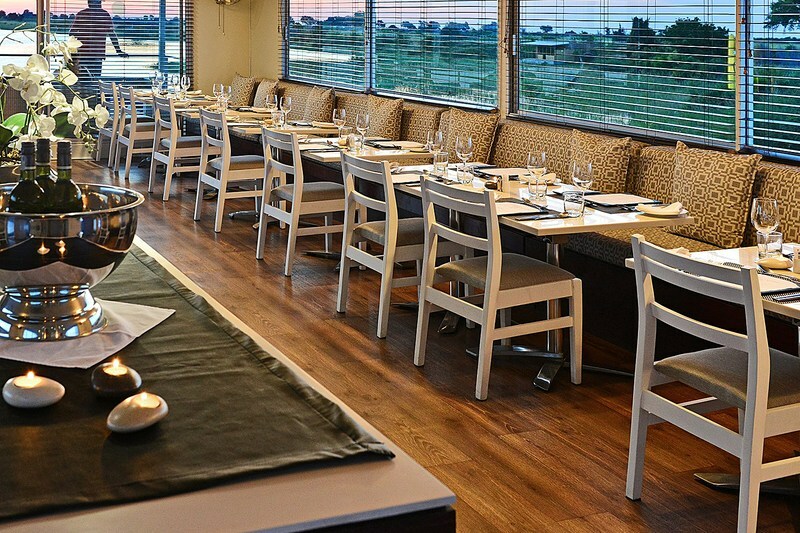 While on board the Zambezi Queen, our guests will dine in absolute opulence whilst taking in the unique African surrounds. 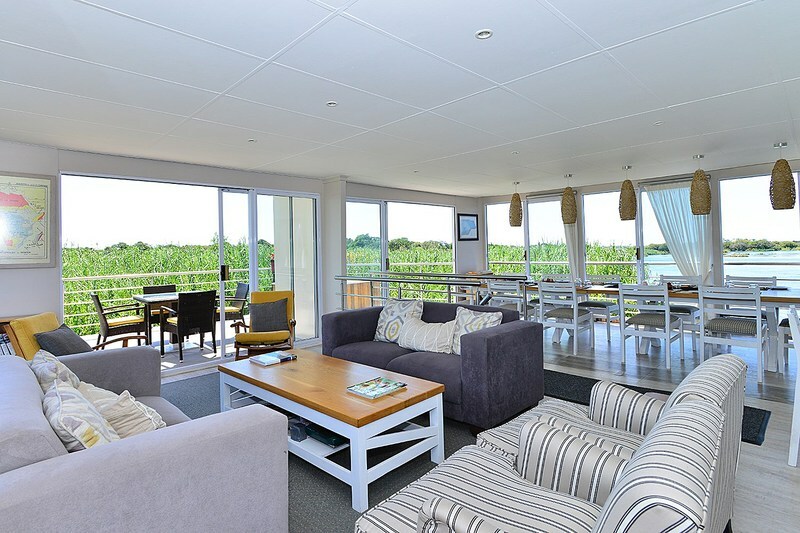 Situated on the 3rd level, the dining room offers unobstructed views on three sides. Experience delectable dishes such as butternut and macadamia soup and fillet of beef with bordelaise sauce paired with the perfect wine. The mornings offer a full English breakfast and the afternoons offer a lavish gourmet lunch buffet. In the evenings, be our honored guest for an elegant, formal dining experience, the perfect ending to your daily river cruise adventures. We offer complimentary wine and beer with all lunch and dinners on board.